With the 2018-19 NBA regular season only 50 days away, it is time that the world’s top basketball sneaker brands begin unveiling their plans for the next year. While most of consumer’s attention is focused on new models for signature athletes – the likes of the LeBron 16 and the KD 11 – brand’s will continue to push new colors of its existing silhouettes to get young hoopers ready for their upcoming high school seasons. 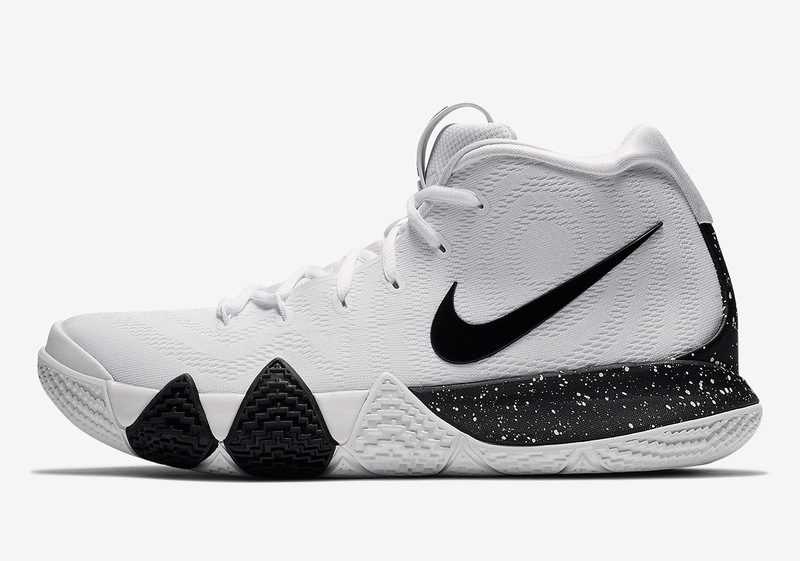 With team-focused color schemes in mind, the Swoosh just released five simple Kyrie 4 color schemes that each usher in an attractive hit of speckling on their midsoles and heel units, with one matching outrigger, and the presence of either black or white for contrast. Covering most of their bases as far as team color blocking is concerned, this clean collection of Kyries will have you ready ready to dominate on the court in style. From a striking University Red variety, to a delicious Oreo aesthetic created by the black and white iteration you see up top, there are plenty of choices to be had from Swoosh Brand basketball retailers the likes of Eastbay today.